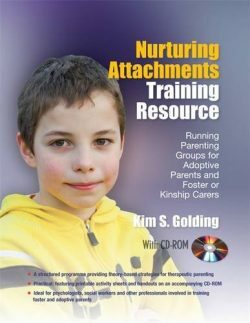 Nurturing Attachments Training Resource is a group-work programme designed to provide support and guidance to adoptive parents and foster or kinship carers. Based on attachment theory and an understanding of the impact of trauma on children's development and security, it provides an authoritative set of ideas for therapeutically parenting children. The training resource includes theoretical content and process notes for facilitators, and a range of activities supported by a CD-ROM with photocopiable reflective diary sheets, activity sheets and handouts.It is structured into 3 modules with 6 sessions per module. This will be an invaluable resource for psychologists, social workers and other professionals involved in training foster carers and adoptive parents, as well as residential child care workers and kinship carers.